Customer reviews mean money, especially for small businesses! People who review a business on yelp, trip advisor, Angie’s List and similar user generated review sites are most likely ready to buy. While high ratings will draw the attention of potential customers, one negative customer review is just enough to potentially drive them away. No business owner wants to receive a negative review from a customer, but sometimes things go wrong beyond our control. 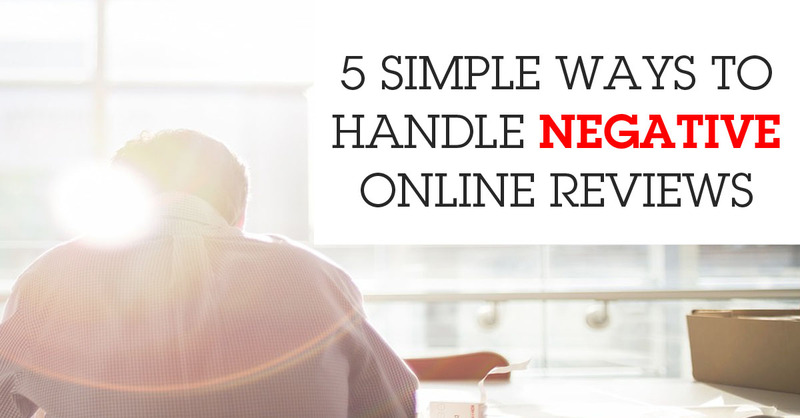 The good news is I have 5 tips here for you to turn a negative review into a positive opportunity for your business! Ignoring it will not make the bad review go away. At the same time you do not want your unorganized thought to go public without thinking through the entire situation. Make sure you give yourself enough time to write the response. The quality and sincerity of the response is very important. Customers leave negative comments for several reasons: service dissatisfaction or poor product quality are two major reasons. A copy and pasted response will be the move to make the situation worse. After all, they are your paying customers and there must be something in your business that wins their trust in the first place. Take the time to formulate a response based on each individual's experience. There are potential customers out there viewing your business’ page and it is not only between you and the raging customer. It is not easy to treat someone with courtesy and kindness when that person is attempting to ruin your business’s reputation. Start off your response by thanking the reviewer. Feedback is always valuable. 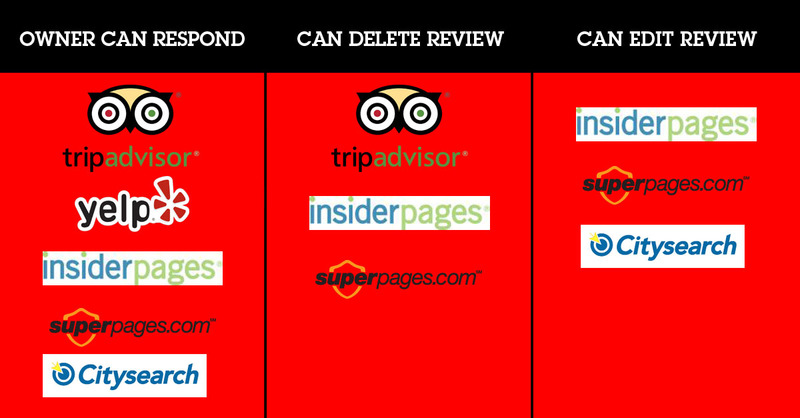 For some rating site, owners do have the ability to edit or even delete reviews. It is important to learn what you can do with your account before you sign up for it and monitor your reviews regularly. There will be times people leave offensive comments about your business; some may not even be the truth. Knowing what is under your control will save you a lot of headache. There are people complaints for no apparent reason, but most of the time, customers get upset for a valid reason. Whether it is about product quality or a customer service miscommunication, sharing and having a discussion about the review with your employees will help improve the overall experience for future customers and avoid similar situations in the future. Designating 'listeners' to monitor your reviews and social mentions will also help you stay on top of your negative online review management! No one has control over what others say and write about online, and this is one of the reasons that makes all these rating sites more trustworthy to consumers. On the upside, consumers tend to give higher credibility to the rating when they see both positive and negative reviews. Just remember, negative reviews are inevitable and completely normal. You cannot please everyone but how you handle criticism will greatly affect your reputation and prevent similar complaints from happening. It is in your hands to change a negative review into a positive opportunity! Ready Artwork is here to help you manage and build your online reputation. Contact us or give us a call at 626.400.4511 today!